You know that it’s easier (and more cost-effective) to repair a problem in your Chrysler, Dodge, Jeep or Ram instead of replacing a component. You know what makes the major components of your braking system, such as the rotors, calipers and fluid lines. But, the parts that can wear down and lead to full-on replacement are brake pads. It is always important to consult your owners manual for how often your brake pads should be replaced. It is never a good idea to continue to drive with brake problems, as it is a serious safety concern for you, your passengers and those you share the roads with. When Do You Need New Brake Pads? If you notice that you’re experiencing braking issues before your manual recommends a Brake Pad Replacement Service, don’t panic! There are several factors that can cause your brake pads to wear down faster. Some of these factors include driving environment, constant city driving, or driving through mountainous and rocky terrain. If you find yourself wondering what some symptoms of worn-out brake pads are, you’re in luck! Many CDJR products come equipped with a Brake Pad Indicator Light. If your vehicle doesn’t have this function, just be on the lookout for constantly squeaking brakes or metallic grinding, as these are also very common warning signs. 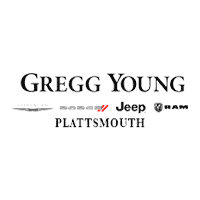 So when you’re ready to Schedule your Brake Pad Replacement Service, Gregg Young Chrysler Dodge Jeep Ram of Plattsmouth has you covered! Our Factory Certified Technicians use only the best OEM parts with every service, so you know true service professionals are using the best parts available on your vehicle. We proudly serve the Plattsmouth and great Omaha area.